Settled in 1847, Desoto is a Dallas suburb that is one of the oldest towns in the northern part of Texas. It was named after a doctor who was a major contributor to the town when it was home to just over 100 people. Unfortunately, the population dwindled to just 97 people in the 1930s and there were very few businesses, but it was after World War II that the town and the surrounding communities started to see a great deal of growth. This growth is the result of water distribution improvement, which then encouraged the need to incorporate. In 1949, the petition for incorporation was signed and was approved just weeks later. In 1950, the population grew to approximately 300 people and there were eight businesses. It didn’t take long before homes started being built and the population grew to nearly 7,000 people in the 1970s. As of 2010, the population grew to more than 51,000 people because of the vast number of opportunities in the area. The Parks and Recreation department is very active in that they offer swimming lessons in the summer, youth football and cheer leading, soccer, baseball, and adult and youth activities at the Recreation Center. If you are considering any local properties and fitness is important to you, then the Fitness Center offers a number of options. If you don’t want to get involved with a fitness center, then you can enjoy one of the parks sprinkled throughout the community. As for what there is to do, you can go bowling, take dance classes, play paintball with full gear, go to the movies, head over to SeaWorld, go river tubing, take painting classes, go roller skating, take a Yoga class, take the kids to the Trampoline Park, climb a rock wall, take a Sunday Boat Cruise, and so much more. Something that families love to do is go to the Sharkorosa Wildlife Ranch and see many types of animals from around the world. There are also shows and dining opportunities that suit many different tastes. There are also many events that take place, but one that draws a very large crowd is the BrickUniverse Lego Fan Convention in Dallas. This takes place at the Irving Convention Center every November. If you are a fan of Legos, then this is a place to be. Food enthusiasts will enjoy The Great Texas Food Truck Rally. Food trucks from all over come to the area so that event goers can experience multiple food trucks in one place. It’s like the Celina Balloon Festival where hot air balloons from all over gather in one central location. 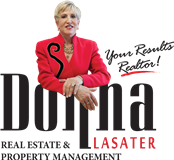 To learn more about the real estate in the area, as well as the activities, events, parks, and other things to do, contact Donna Lasater.